When disaster strikes, design can do much to heal wounds and set things right. 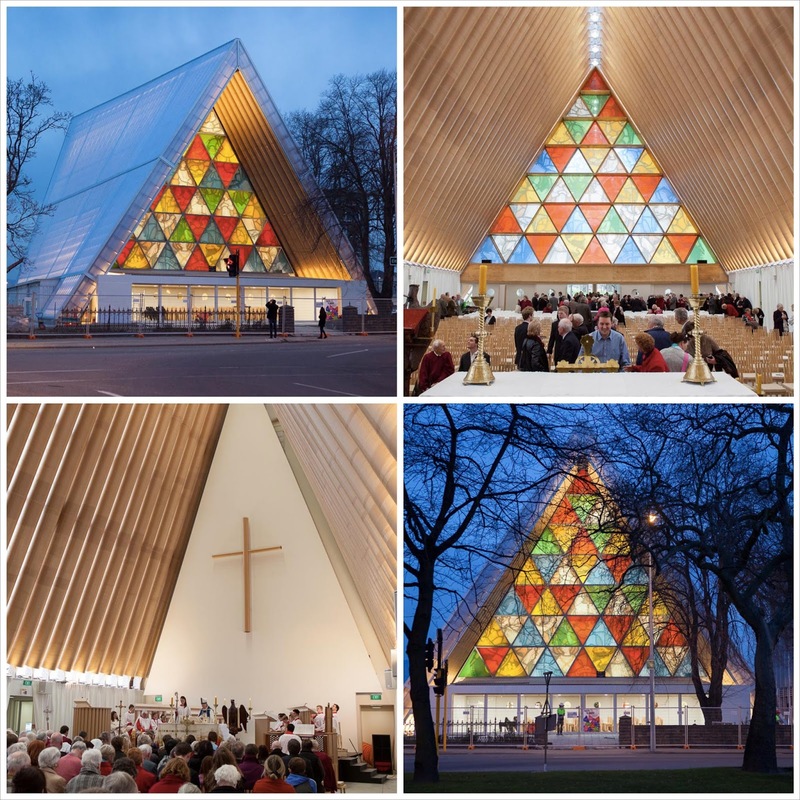 Japanese architect Shigeru Ban has designed a sublime temporary church to replace the original Christchurch Cathedral in New Zealand, which was destroyed by a 6.3-magnitude earthquake in 2011. The triangular frame of the cathedral is made from cardboard tubes covered with a polycarbonate roof and is expected to last 50 years. It opened its doors to the public this week on August 6, 2013.